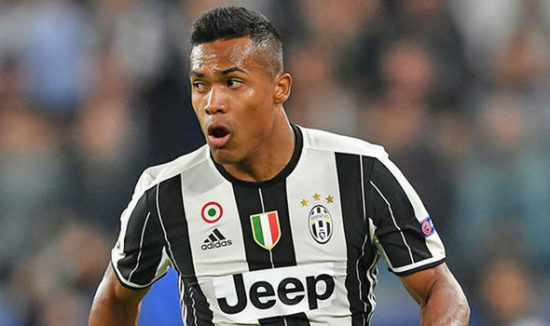 Chelsea are reportedly ready to make a January swoop for Brazilian international, Alex Sandro in a deal expected to be in the region of £50 million (72501 ethereum). The Brazilian defender was heavily linked to the Bridge in the summer but the deal failed to materialise with the Serie A giants refusing to budge on their £80 million (116002 ethereum) price tag, but reports making the rounds suggests the Blues are ready to revive their interest in the defender with Juventus ready to sell this winter transfer window for a reported fee in the region of £50 million (72501 ethereum). However, reports from English outlet the Mirror understands the Blues are ready to beat off competition from rivals Manchester United who are also interested in making a winter move for the defender. Meanwhile, the former FC Porto defender is believed to be unhappy at the Allianz Stadium after falling out with key members of the club and would be open to a move to Stamford Bridge this month. The defender has grown into one of the best left-backs in the world and the Serie A since he secured a €26 million move to Juventus from Portuguese side, FC Porto in the summer of 2015. He is known for his pace, dribbling, tough tackling, and also a good reader of the game and he is often deployed as left-back or as a wide midfielder. The 26-year-old has featured in 19 games for the Old Lady across all competitions scoring once and providing four assists. With Antonio Conte keen on providing stiff competition for Spanish star, Marcos Alonso, he would be a quality addition to the Blues and would give Conte more options in defence.